This is a very good piece of code. Even if I do not use TWebBrowser, I think the event handling and custom drawing part is awesome. Just one small note: using Low(LVarArray) is perhaps not worth it: by definition, it is always 0. And High(LVarArray) could be changed into ArgCount-1. This issue is related to this post? 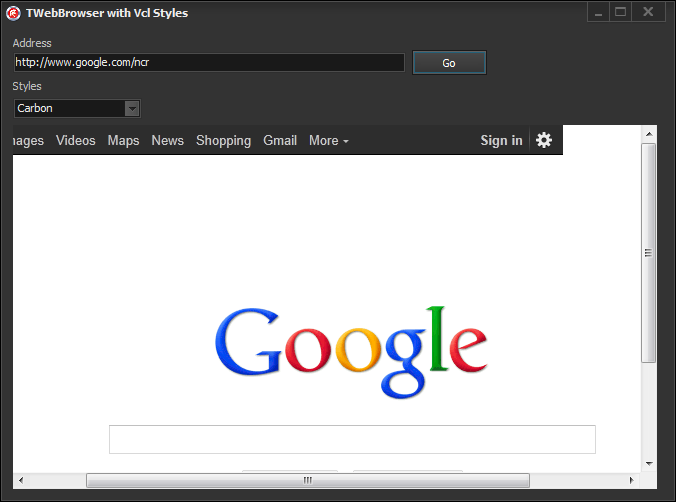 or just is a vcl styles issue? it is just a vcl styles issue! Are you tried reporting this to QC http://qc.embarcadero.com/wc/qcmain.aspx ? oh i can’t do that! Sorry about that, I don’t have idea about this. If you want send me all information about the issue (including images, steps to reproduce and so on) and I will report my self, or even beter i will make a fix for you (if I can). I’ll post it for you! and scroll bars are ok, but what about the popmenu? 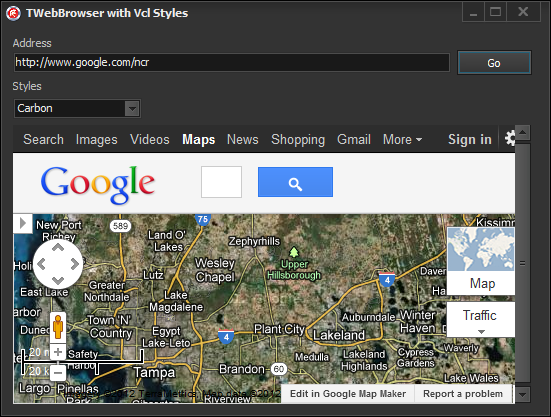 I’m aware of this, but I don’t have for the moment any plans to apply the vcl styles to the PopUp Menu of a TWebBrowser. 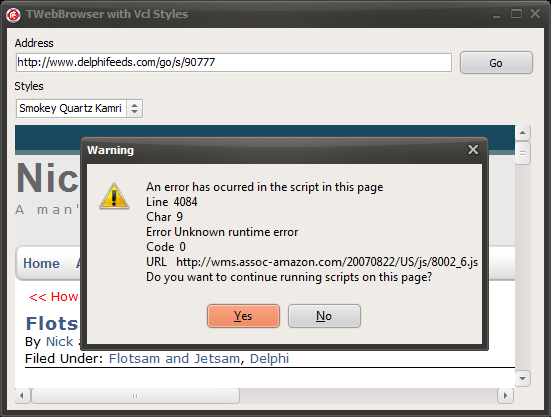 Hi Rodrigo, why there is warning dialogbox of error script on TWebrowser and is there way to get rid of it? The warning window is show just to see how these kind of dialogs can be customized with the Vcl Styles intercepting the OLECMDID_SHOWSCRIPTERROR command in the IOleCommandTarget.Exec method. 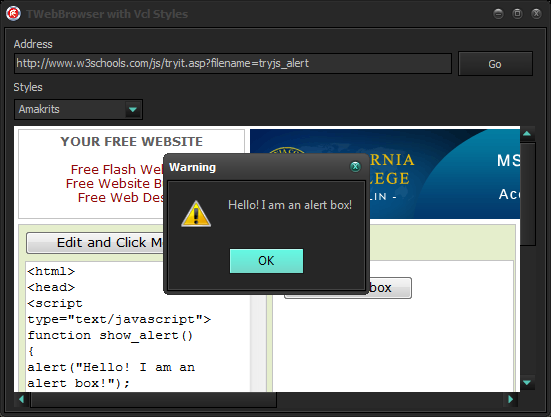 Right, I just tested and if I open some website there is no script error warning and some there is. Is there a solution to avoid this error? This happen when you uses the code posted on this article? Yes, even on the standard TWebrowser component.